Retro ruby channel setting pin made in France: Description by Adin Antique Jewelry. 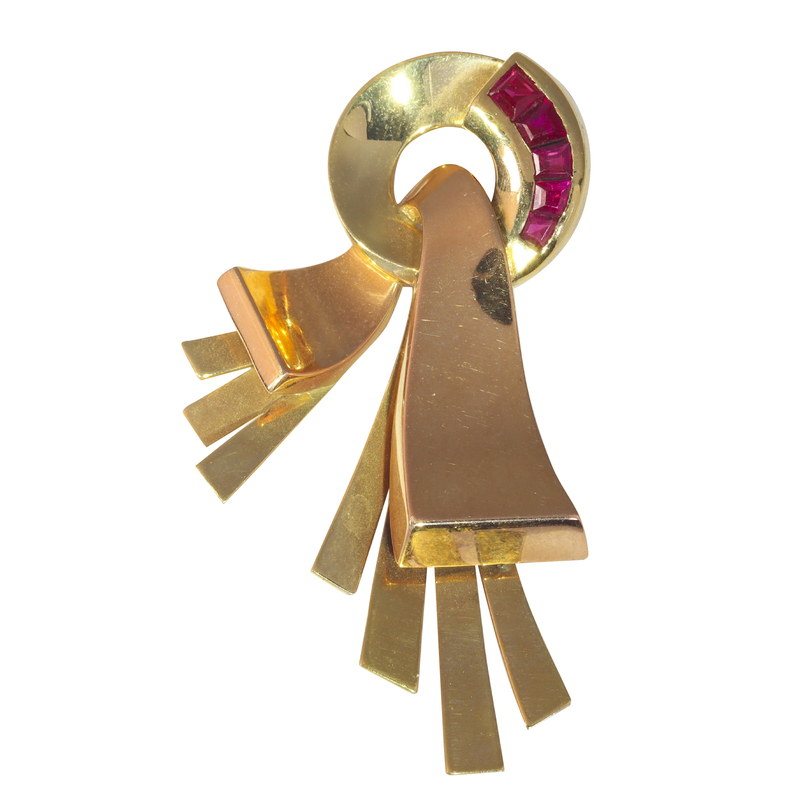 A quality Retro pin made in France circa 1940's, 18kt two tone solid gold, ruby channel setting, knot design, excellent condition... A touch of history. Style: Retro - The style now called "Retro Art" is a genre which was developed in the 1940s and 1950s in response to a need for bold, eye-catching graphics and shapes that were easy to reproduce. Style specifics: Retro Style is a recent designation for the period in the forties when large scale, stylized geometric forms, drapes, bows or ribbons were all the rage. Pink Gold, set with colored stones, sometimes in floral forms was common. Birthstones: Ruby is the birthstone (or month stone) for July.